What’s worth to get up 5AM in the morning? Mid-March, annual cherry blossom season had arrived. It’s not a surprise that Seattle’s hippest spot for it is right in the University of Washington. It will involve with hours of traffic, finding the impossible “parking spot”, and you will guaranteed bump into at least one person you know in your life that will be there. That! Is the annual thing to do for seattleite. 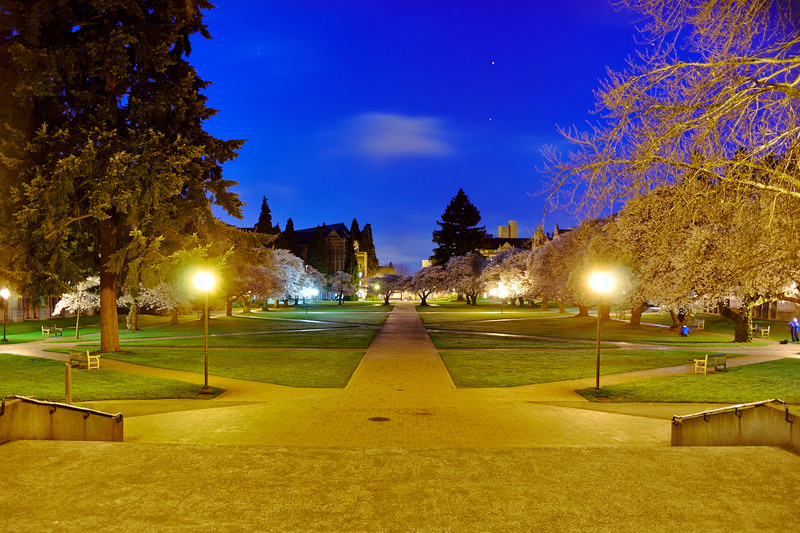 I got an invited on Friday night, been told that bunch of people are going to the University of Washington around 5AM to avoid the traffic, the people, crazy kids and dogs, parking issues, and you can photograph low-light! Obviously, this isn’t the first time I’ve ever done low-light photography, but since I advanced to Sony A7, I was afraid that I just don’t have a proper wide angle lens to do such task. End result, I had to use an APS-C lens (Pentax DA 21mm Limited) to do the job. Images were cropped nearly about 1/3 off from original image and they were still suffering from the corner smearing. Sadly, I wish I have had a better setup. Obviously, I am not really an early riser. I dragged on my sleepy head with a zombie body to the scene before I knew who is there, my friend Andrew shouted out my name. That’s what 5AM would do to you! Funny enough! I arrived late, so technically it was around 6AM. These dedicated photographers were already here since 5AM. Before entering the open field, I should at least test out how wide my APS-C wide angle lens can do. An indication of how much I should crop off. Over years! I’ve been searching for compact design to carry out. I am currently moved away from full size DSLR, large zoom lenses, and backpack size of camera bags. 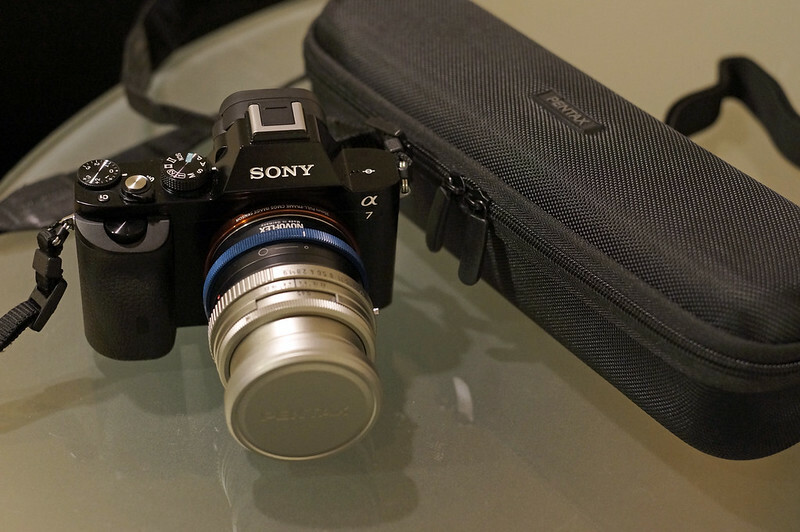 While I am moving towards to compact, or mirrorless mid-pro cameras, my photography narrowed down to prime lenses only. Prime lenses are great! They are tiny, light weight, yet pockable. However, that also means I can’t always put them in the pocket and if I place them into my HUGE camera backpack, they will shift around hitting sidewalls inside the backpack.